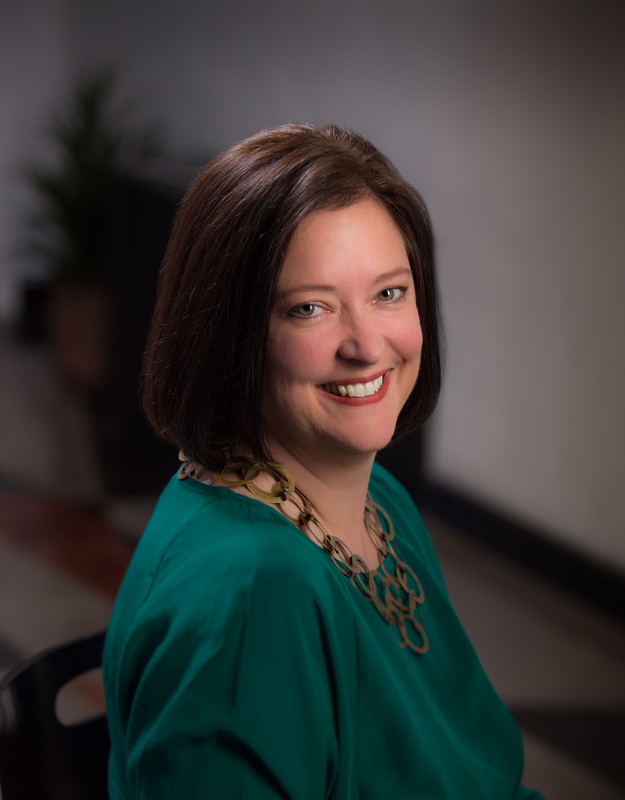 Jessica Lewis is the Communications Specialist for ROC the Future and Principal Publicist & Owner of LáLew Public Relations. She is a 2018 ATHENA Award Young Professional finalist and a Woman to Watch for the Democrat & Chronicle Newspaper. Jessica is a successful entrepreneur, owning the fastest growing, Black-owned public relations firm in Rochester, New York. Jessica is also the host of Ujamaa Rising, a television show that features Black-owned businesses and real-life stories of entrepreneurs. Jessica received her Bachelor’s degree from Buffalo State College in Social Studies Education grades 7-12 and a Master’s degree in Teaching and Curriculum from the Margaret Warner Graduate School of Education at the University of Rochester. Jessica holds membership in the Rochester Association of Black Journalists, the Democrat & Chronicle Young Professionals Advisory Council and the Theta Omega Sigma Alumnae Chapter of Sigma Gamma Rho Sorority, Inc. I just started reading the Autobiography of Assata Shakur. Are you a fiction or non-fiction reader? What book would you love to see made into a movie? Who would play the lead role? I would love the Autobiography of Assata Shakur to be made into a movie. I’m only on the 3rd chapter and am fascinated by her life story. It’s striking how her experiences as a child living in NYC in the 50s and 60s attending a predominantly white school mirrors the experience I had in the 90’s. What book are you recommending that everyone read right now? Post Traumatic Slave Syndrome by Dr. Joy DeGruy and Stamped from the Beginning by Ibram X. Kendi. What book changed your life, or changed how you view the world? In what way? I would say Post Traumatic Slave Syndrome by Dr. Joy DeGruy and Stamped from the Beginning by Ibram X. Kendi. Those two books opened my mind to a new perspective on race relations in America. I was educated in predominantly white institutions all my life. In school we learned about slavery, then jumped to the Civil Rights Movement, only learning about Dr. Martin Luther King, Jr., Rosa Parks and maybe a few others. We never delved deep into what actually happened during slavery and the ramifications of slavery such as laws enacted by the federal government which instituted racist policies that still have an effect today. Post Traumatic Slave Syndrome dives deep into these issues and Stamped from the Beginning gives insight into how racist ideas spread from Europe to American and how anti-black thinking has entrenched itself in the fabric of American society. The book also talks about the role of media and how media perpetuates stereotypes only further influencing the minds of the American people (exacerbating bias) which then effects behavior and subsequent actions. Does reading influence your decision-making process? Yes, it does because I’ve been enlightened by several books that I’ve read and now am not ignorant to certain things like before. Are you a “finisher” or do stop reading a book if you’re not connecting with it? I think I’m a stopper. If a book is uninteresting I’ll just put it down. I read to learn and to open my eyes to things I did not have knowledge about. The desert island question – What 5 books would you have to have with you if you were stranded on a desert island? I would say Becoming by Michelle Obama, Outliers and The Tipping Point by Malcolm Gladwell, Lean In by Sheryl Sandberg and Year of Yes by Shonda Rhimes. Do you ever read the end of a book first? Why or why not? No, but now I’m more intentional about reading the Preface and Foreword. Would you rather be your favorite author or your favorite character? I’d like to be my favorite author because I’d like to be skilled enough to tell a story in a way that’s compelling and interesting. If you were to get a bookish tattoo, what would it be? I would get a tattoo of my favorite passage or scripture. Maybe in a nice script font. Cornick is fast becoming my go-to author for suspenseful, fascinating time-slip stories, and she delivers another one with The Woman in the Lake. Moving between present time and the 18th century, Cornick tells the intertwined stories of Isabella, Constance, and Fenella, all bound together by a gorgeous and deadly golden gown. Each woman struggles with her place in the world, complicated by aggressive, violent, and manipulative men who, in turn, cause the women to take drastic measures to survive. The story is well-paced, with lovely description and dialog, and characters who attract and repel the reader equally. My favorite among them is Constance, the insignificant lady’s maid who turns out to have more brains and balls than any of her “betters.” Consider this a one-sitting story – you won’t be able to put it down. I stumbled on Paige Shelton’s first book in the Scottish Bookshop series purely by accident. I was looking for authors like Kate Carlisle and Shelton’s name came up. I was hooked from the first page and have devoured each entry in the series. In book 4, we find main character Delaney working hard to manage her upcoming wedding to Tom, including introducing her Kansas family to her Edinburgh family. While tracking down a reverend to officiate at the wedding, Delaney meets yet another interesting person. This time, it’s Norval Fraser and he draws her deep into a mystery involving the Loch Ness Monster, a missing father, and a murdered nephew. As usual, Delaney and all her Edinburgh friends are charming, the story is fun and engaging, and there are interesting developments in the personal lives of the characters. I’m beginning to think, though, that it’s time to let go of the books talking to Delaney. In the first book, the convention worked well, but here it felt kind of forced. Delaney is interesting enough on her own. Fans of stories about King Arthur will appreciate this interesting treatment of the Arthurian legend and the people obsessed with it, but The Ghost Manuscript will also appeal to readers who just enjoy a good mystery. The characters are appealing and the story is by turns riveting and engrossing, mostly due to the author’s skillful switching between the more cerebral puzzle-solving and the physical activity of dealing with bad guys while actively searching for treasure. The big shocker about Arthur’s origins was somewhat similarly treated in an early Elly Griffith’s “Ruth Galloway” book, but the tribal involvement here makes this wholly original. Plus the female protagonist is a librarian. Kind of. Oddly enough, it looks like this was published earlier this year as Call of the Curlew, and reviews generally echo my reading experience. 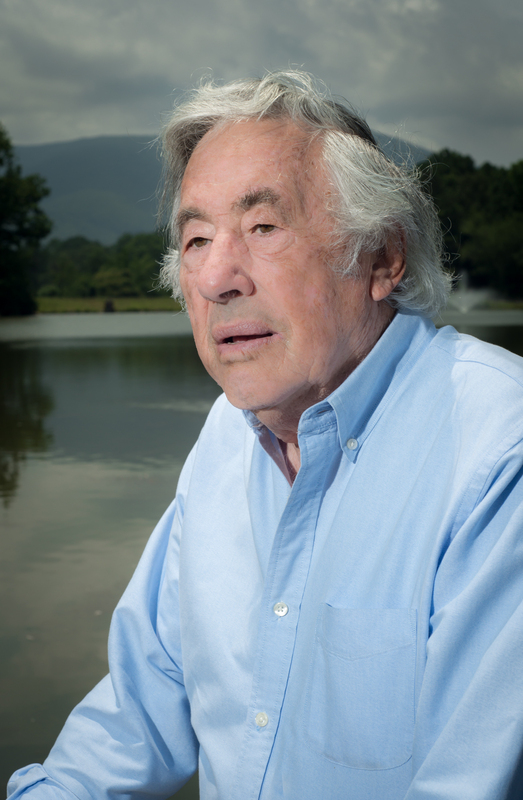 Brooks delivers a solid, shivering, atmospheric piece centering on an old tragedy. She uses the common alternating time convention, switching between 1939 and the present day as she tells the story of Virginia and how she came to Salt Winds. The characters are vividly drawn and the story clever and suspenseful. This stands with the best of Kate Morton and M.J. Rose. Well done. For tour guide Emily Ryder, the turning point came on that fatal early morning when her beloved mentor met an untimely death. It’s labeled as an accident and Trooper Dave Roberts is more interested in Emily than in any suspicions over Chris Cooper’s death. For Emily, if Chris hadn’t been the Village Planner and the only man standing in the way of the development of an apartment and entertainment complex in their quaint village of Lydfield, Connecticut, she might have believed it was an accident, but too many pieces didn’t fit. 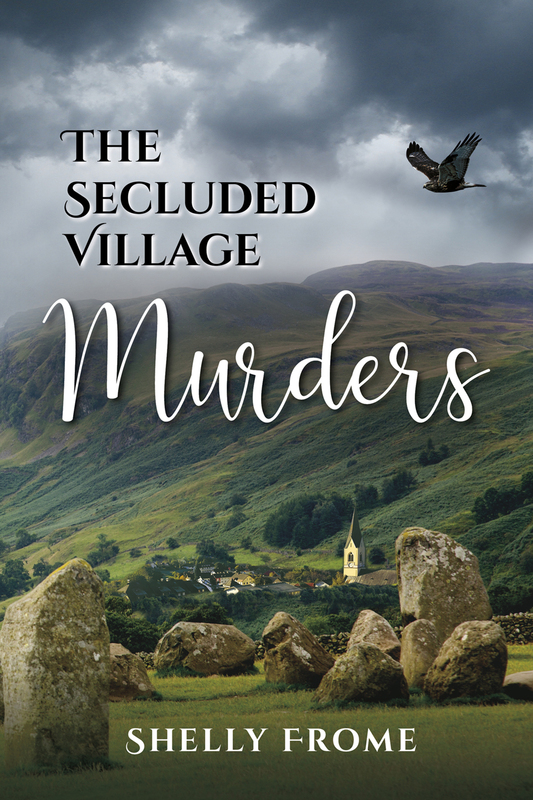 As Emily heads across the pond for a prescheduled tour of Lydfield’s sister village, Lydfield-in-the-Moor, she discovers that the murderer may be closer than she thought. Shelly Frome has delivered a fun and quirky murder mystery full of appealing characters and a clever plot. Frome is a skilled writer who delivers crisp dialog and lovely descriptions which help move the plot along. I sometimes hesitate to read novels written by academics because they tend to be so literary. (I readily admit that I am a blue-collar reader…) At the end of the day, I just like a good story with suspenseful action and characters that don’t make me want to throw the book at the wall, and I got that here. I started The Secluded Village Murders around 6 pm on a Friday night and finished it around midnight. Then I opened up my Libby app and started looking for more books by Shelly Frome. If you are a fan of M.C. Beaton, Joan Hess, and Carolyn Hart, you will enjoy Shelly Frome. Recommended. On a surveillance assignment for a child custody case, PI-in-training Nora Watts finds herself ensconced in a small farming community on a beautiful hippie island in the Pacific Northwest, a place with a reputation for being welcoming to outsiders. But when she arrives there, she discovers her welcome quickly wears thin. Perhaps too quickly. Salt Spring Island, with a history as a refuge for African Americans fleeing the bonds of slavery, is not a place of refuge for her—and, she suspects, may not be for the people who live there, either. As she investigates, nothing about this remote community seems to add up. It gets personal as Nora confronts her own complicated feelings toward her estranged daughter and becomes increasingly concerned about the child she’s been tasked to surveil. She discovers that small, idyllic communities can hide very big secrets. 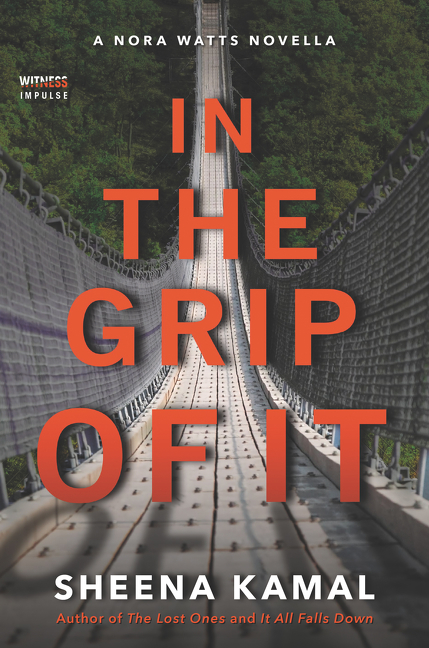 More of a novella than a full-length novel, In the Grip of It touches on a number of interesting and tension-bearing plot devices. There’s the custody angle, where one parent has made choices that affect the other parent’s ability to see his child; this one is blended with the cult angle, where the custodial parent has joined a “community” that is causing the visitation issues. Kamal also touches on integrated “haven” communities, alternative drug therapy, and even veganism. Everything, however, comes back to relationships, and Kamal does a good job of introducing a number of those throughout the mere 90 pages of this story. The primary characters here, Nora and Leo, are smart and likable, but the story isn’t long enough to really get to know them. While I enjoyed In the Grip of It, I was left wanting more and really hoping the author will produce a full-length novel featuring Nora Watts. “Nope, you’re in the right place,” I said, looking at his nice suit, shiny shoes, and expensive watch. “Well,” said the man, who was hesitating behind me, “I’m not really sure that this is the right fit for me.” He was trying to be diplomatic about the condition of our office and what it might say about his own level of desperation that he was here, but we weren’t about to let a potential client go without a fight. His level of desperation was no match for ours. The man sat, a little overwhelmed by Leo’s charm, which is considerable. That day Leo was dressed in linen pants and a simple cotton shirt, as a nod to the heat wave the city was experiencing. He could pull off this look as easily as he pulled off the lie about our rates. We keep our overhead low because this dump on Hastings Street, in the derelict Downtown Eastside of Vancouver, is all we can afford, but clients didn’t need to know that. And even I could admit that the “competitive rates” line sounded good—even true—coming from Leo. “How can I help you?” Leo asked. Leo frowned. “Because they’re on an island?” Salt Spring wouldn’t be easy to ferry to and from on a regular basis. “Yes,” said Leo. Everyone knew the stories about Bountiful, British Columbia, where fundamentalist polygamous communities live and proliferate seemingly freely. “She married you,” Leo said. In the next few days, I started the file on Cheyenne Barnes and looked through the information Ken had provided us. “Cheyenne scrubbed her social-media profiles last year,” he explained to me, over the phone. “I thought she was punishing me by erasing the memories and keeping me away from what’s happening with my son, but now that I think about it, there’s something fishy about this whole thing.” So he kept saying. Cheyenne is smiling in all the photos, and in every single one there is something wistful about her, a faraway look in her eyes. Something that suggests a romantic nature. She’s an instructor for hot yoga, which I thought was stretching for attractive people but later discovered is actually sweaty stretching. Who knew. She’d gone to Salt Spring Island two years ago to work at a yoga retreat and, according to Ken, never came back. She met a man there, a fellow yoga enthusiast, and rebuffed all of Ken’s attempts at reconciliation. There is very little to be found on Cheyenne Barnes’s new man. He has no social-media profiles of his own, but I did find a picture of him on the Spring Love website. Some people are so attractive it’s almost surreal, and Vikram Sharma is one of them. Excerpt from In the Grip Of It by Sheena Kamal. Copyright © 2018 by Sheena Kamal. Reproduced with permission from Witness Impulse. All rights reserved. SHEENA KAMAL holds an HBA in Political Science from the University of Toronto, and was awarded a TD Canada Trust scholarship for community leadership and activism around the issue of homelessness. 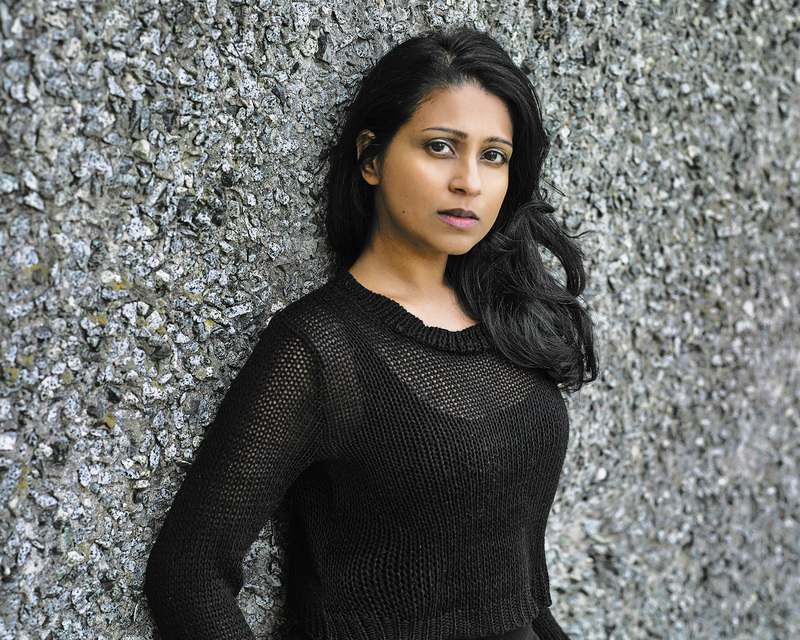 Her debut novel, The Lost Ones was inspired by this and by Kamal’s most recent work as a researcher into crime and investigative journalism for the film and television industry. Visit these other great hosts on this tour for more great reviews and features! This is a rafflecopter giveaway hosted by Partners in Crime Virtual Book Tours for Sheena Kamal and WitnessImpulse. There will be 10 winners of one (1) print copy of Sheena Kamal’s THE LOST ONES. The giveaway begins on June 1, 2018 and runs through July 1, 2018. Open to U.S. addresses only. Void where prohibited. Dark Tide Rising by Anne Perry – Anne Perry has delivered yet another well-plotted mystery featuring Inspector Monk and his band of Thames River Police. If you are a fan of the Monk series, this will not disappoint. If you haven’t read Monk, the nice thing about Perry’s series is that you can pick it up in the middle and stillunderstand what’s happening. Then, you will go back and read them all. Recommended. Florida by Lauren Groff – Lauren Groff has delivered a collection of absolutely gorgeous prose in the form of short stories all tied to Florida. Strung through with common threads of family, women, and children, each story is an exquisite vignette showcasing the often ugly underbelly of life in the Sunshine State. From children abandoned on a deserted island, to a temporarily failed scholar-turned-homeless, to a common character who seems to be Groff herself, these stories resonate and amplify the real possibility that your life, no matter how idyllic, can be fucked up at any time by circumstance and chance. I met Groff at a literary event shortly after Trump was elected, and boy was she pissed. I sense much of that anger in these stories and have to assume writing these was somewhat of a catharsis for her. We often produce our best work while under stress, and I think that’s happened here. This one should appear on all the “Best of 2018” lists because it’s that good. Highly recommended. The Deepest Grave by Jeri Westerson – Ellis Peters set the standard for medieval mysteries with the Cadfael series, but Jeri Westerson’s Crispin Guest more than matches up with the intrepid monk. Westerson has delivered a tightly plotted mystery with just enough human drama and a didn’t-see-it-coming plot twist at the end that had me sitting up and taking notice that this is an author to watch. The protagonist, Crispin Guest, a disgraced knight now turned “Tracker” (the medieval version of a PI), is a flawed but dignified, smart, and decent man who uses his deductive powers to solve crimes for money. His relationships are complicated to be sure, but Westerson writes Guest as the Good Guy who will always put the greater good above his own needs and desires. I look forward to more of Crispin Guest. Highly recommended. Bellewether by Susanna Kearsley – Similar to Kearsley’s previous stories, this one again features a blend of storylines from the past and present. One nice change is the location, which is Long Island, New York. As we have come to expect from Kearsley, there is meticulously researched history here, as well as laid-back romance. Her writing is lovely, with just the right blend of description and action. This is recomended for Kearsley fans as well as fans of Kate Morton. World of All Souls by Deborah Harkness – Deborah Harkness has created a whole mythology in her All Souls trilogy which is dependent on the fairly complicated genealogies of the Bishop and Clairmont families, plus associated characters. And there are A LOT of characters. The World of All Souls is a handy guide to that cast of characters where all the disparate tidbits of information Harkness wove into the trilogy are gathered in one place and expanded upon. As I read this book, I felt like I had both a peephole into Deborah Harkness’ imagination and a peek at her writing notes. This is a must for fans of the trilogy. Recommended. Sins of the Father by Stephen Weeks – This isn’t *terrible* in that it’s fairly well written, with some instances of true wit, but the characters and story are fairly shallow and uninteresting. It’s a light, quick read, but not something I’ll remember. Little Shop of Found Things by Paula Brackston – Paula Brackston has produced an intriguing time slip mystery here, which is not exactly what I was expecting. The story is interesting and somewhat unusual. I cannot recall many other time slip stories where the person from the present is forced into the past by a ghost as menacing as Mistress Merton. The characters are appealing, and the relationship between Xanthe and her Mum is heartwarming. I thought the whole drug back story was a little odd, but it didn’t detract from the story. All in all, this book provides a pleasant escape for a couple hours. The Lost Carousel of Provence by Juliet Blackwell – As a fan of Blackwell’s Lily Ivory series, I was excited to try out something different from her. I enjoy Blackwell’s breezy writing style and quirky characters, and was not disappointed in this sweet, captivating story. At first, I found Cady a little jarring, but she grew on me as the story progressed. I love stories featuring strong women who have overcome difficult circumstances, and Blackwell certainly delivered on that account. Blend that with a truly interesting story of carousel carving and you have a winner. I stumbled upon de Hahn’s first Agnes Luthi book, Swiss Vendetta, quite by accident while browsing in a book store one day. I took it over to a comfortable chair to read a few pages and was hooked after the first chapter. I’ve waited for this, her second in the series, with much anticipation and I was not disappointed. Agnes returns with the same quiet, sturdy, wry spirit, despite the injuries she sustained at the end of Swiss Vendetta. We learn more about Agnes and her family here, as well as about Julian Vallotton, as the two investigate the death of a master watchmaker. I have a fondness for mysteries that include well-researched information about unusual topics; in this case, de Hahn delivers some fascinating information about the Swiss and international watch industry. The author skillfully develops key characters, and crafts a tricky and surprising plot which fully engages the reader. Tracee de Hahn is quickly becoming a new favorite author and Agnes Luthi a favorite character. 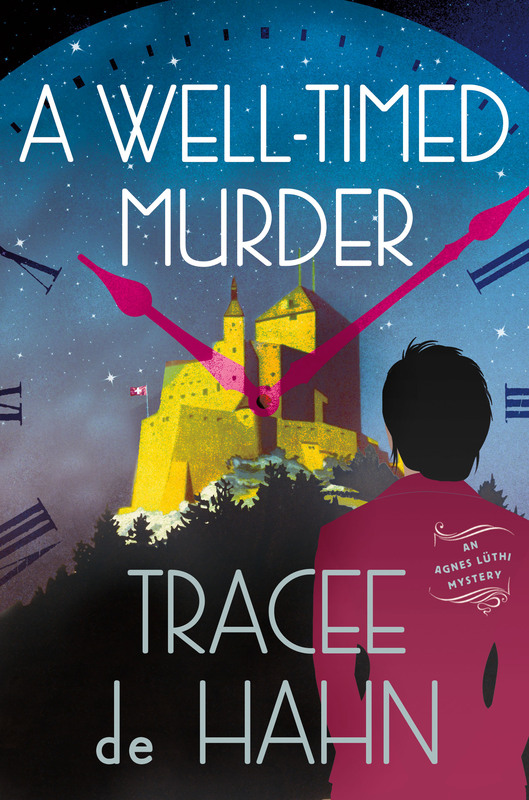 Tracee de Hahn’s mystery, A Well-Timed Murder, is another magnetic mystery that will engross readers from the opening page to the stunning conclusion. There was a crowd but none of them mattered. Agnes Lüthi had eyes for only one man, the one she’d nicknamed the Roach. The one she’d only dreamt of finding in Switzerland. She moved quickly despite her injured leg, focused on her destination, closing her umbrella when she reached the high canopy. A chain of busses discharged passengers in front of the Messe Basel Exhibition Halles, and they flowed past her toward the doors as if the world’s premier watch and jewelry show might sell out of goods if they dallied. She had never before been to Baselworld, but from the look of the well-dressed crowd judged it was a fitting place to find this particular man. She was within grasping distance of a door handle when Marcel Aubry appeared from behind a kiosk. He was cloaked in a long, belted raincoat and had a finger pressed to his ear, listening. Before she could speak, he grasped her wrist with his free hand, and pulled her behind the advertising stand, out of sight of the glass front of the lobby. “Slight change of plan,” Aubry said, his voice low and hurried. “The Roach is headed this way.” He frowned, listening to the voices in his earpiece. Agnes moved closer to Aubry; it felt like stepping into a shadow. He was a big man, not exactly fat, but big enough to make her feel slim. She could hear the scratch of a voice broadcast from his earpiece, but not the words. Her pulse quickened. They’d worked together for years in financial crimes. Despite that, she’d never seen him run a field operation. This was an important arrest for him, one he’d not leave to others. She was thrilled to be included. “Did you ever think you’d see us catch him?” Aubry said to her, still focused on the chatter in his ear. “No, and I don’t believe it yet today.” She’d had the Roach in her grasp three times, only to have him scurry back into a crack at the last moment. All of Europe and half of Asia was looking for him. In addition to Swiss francs, he’d stolen millions of euros, yen, dollars, and pounds—all electronically. Despite his methods, she’d always believed that he occasionally appeared in person at a place he’d targeted. Now it looked as if her suspicions were proving true. “I was nearby when you called. I left my mother-in-law at the Beyeler Museum like a bride at the altar. She may not forgive me.” Agnes watched the crowd stream into the building, oblivious of the police operation. Aubry had orchestrated a smooth intervention despite having to move quickly. Vincent – her oldest – had phrased it more bluntly: that she liked spending time with the bad guys more than with them. Before she could protest, her youngest son had added that at least she wasn’t a criminal herself. They’d all laughed. It was true, she did miss work. Surely that wasn’t a bad message for the boys? Their father had had a strong work ethic. “Three days. Monday.” She gave her wool jacket a downward tug and straightened the matching skirt. Her stint in hospital had melted a few kilos away. Nearly being killed wasn’t the easiest diet, but it was no doubt effective. A few more kilos and she would consider thanking the man who had knifed her. “He’ll run.” Agnes shifted weight off her bad leg. Critically, she eyed the long bank of doors. The building’s sleek overhang soared across the street, sheltering trams, taxis, a restaurant, and a flower stall. She hoped Aubry really did have all exits covered. She had a vague notion that the five or six halls of the Messe Basel facility were connected by upper corridors and enclosed walkways. It was a large complex. A voice sputtered in his ear and Aubry listened, sparing her the need to answer. “He’s on the move,” Aubry said quietly. “Now,” Aubry shouted, running to the doors and yanking one open. Two men in suits moved from another angle and Agnes spotted their earpieces. The men broke into a half run, and a few bystanders gasped while others pulled out mobile phones set to record video. The officers pushed ahead toward the turnstiles leading to the show, and Agnes followed. Aubry put a hand to his earpiece and stopped her. He angled his head down and she could hear voices talking on top of one another. Someone yelled and Aubry flinched. Suddenly, in the distance, car tires screeched. There was a loud thump and a scream, followed seconds later by other shouts. Agnes turned toward the noise and Aubry followed. They ran to the right side of the building, ignoring the drizzle. The side street was closed to all but exhibitors’ vehicles and Agnes pushed her way through the gathered crowd. What she saw stopped her in her tracks. Aubry, close behind, collided with her. The street was dedicated to instruments of luxury and speed, and in the middle of the road a gleaming red Ferrari had struck a man. He lay in a shallow pool of rainwater a meter from the front bumper. Both car and man were broken. The hood of the car was dented and smeared with blood. The man’s leg was angled midcalf, and the fabric of his pants was split by a bone. Blood spilled from the back of his head, pooling around his hair, missing with rain and running in rivulets to the curb. Agnes recognized the man immediately. She put a hand to her mouth. A second glance at the unique shape of his ears confirmed it: the Roach. Excerpt from A Well-Timed Murder by Tracee de Hahn. Copyright © 2018 by Tracee de Hahn. Reproduced with permission from Tracee de Hahn. All rights reserved. Tracee de Hahn is author of the Agnes Lüthi mysteries, which were inspired by her years living in Switzerland. Prior to writing full time she practiced architecture and was head of university alumni relations at a major west coast university. Born in Cape Girardeau, Missouri, Tracee lived most of her life in Kentucky. She is a member of Mystery Writers of America, Sisters in Crime and International Thriller Writers. Currently she and her husband live in southwest Virginia with their Jack Russell Terriers. Catch Up With Our Author On traceedehahn.com, Goodreads: Tracee de Hahn, Twitter: @LuthiMysteries, & Facebook: TraceedeHahnWriter! This is a rafflecopter giveaway hosted by Partners in Crime Virtual Book Tours for Tracee de Hahn. There will be 1 winner of one (1) Amazon.com gift Card. The giveaway begins on March 1 and runs through April 1, 2018.
Who needs an excuse to read, right? Well, if you do, here’s a fantastic opportunity! Over the weekend of January 27-28, participate in the 24in48 global readathon where you read for 24 of the 48 hours of the weekend, share your progress on social media using #24in48 and win fabulous prizes while you spend your time doing what you love best – reading! This whole thing started a few years with a handful of people who connected online over their love of reading. It has grown to a worldwide phenomenon, with thousands of people participating in the last event in 2017. I know what I’m doing January 27-28. I hope you’ll join me!